Free Wi-Fi and complimentary bottle of water available on Premium and Mercedes Airport Transfers. Now you can take the most of your first day in Barcelona while we take care of your luggage. Make the most of your time with our private transport from Airport to Port. Do you need a Taxi in Barcelona? We have the largest fleet of Mercedes cars and minivans in the city. Need a City Taxi right now? your transfer arranged in only 30 minutes! Make your reservation up to one hour before your arrival to the airport, Your transportation will be arranged in only 30 minutes. Do you need a taxi tomorrow early in the morning to go to the airport? Reserve online, now. We will be there ontime! Planning your Holidays in Barcelona? With a large fleet of Holiday Taxis we can arrange any kind of airport transfer for individuals and groups. Private Taxi Transfers, Door to Door service to any resort, Minibus and Coaches for mid and large groups. Holiday and Business tailored services. Barcelona Taxi reservation service is a value added service with all the guarantees of an official cab company, without waiting or queuing, using only vehicles authorised by local Transportation Authorities at a previously arranged tariff and no surprises.. If you are travelling to Barcelona from another Spanish city (Madrid, Valencia, Sevilla, Mallorca, Tenerife, Gran Canaria) or from an European destination (London Taxi, Lisbon, Venice, Amsterdam, Berlin, Brussels, Geneva, Budapest, Prague, Istanbul), we can also provide you Airport Transfers Services at your departing or destination airport. We also provide airport transfers services in Antalya , Bangkok, Hong Kong and Singapore and many other destinations in Europe, North Africa, Middle East, Asia and USA. Check the complete list of destinations here. 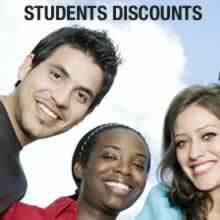 Special Offer: Does your trip continue to Madrid, Paris, Rome or Milan? Contact us, we will arrange your Madrid transfers, Paris transfers, Rome transfers and Milan transfers with a special deal. Last minute booking? 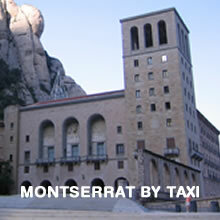 Book Taxi Barcelona accepts bookings up until 1 hour before your planned transfer at NO ADDITIONAL COST. Is my reservation for a private or shared transport? All reservations are for private transfers and your party will be the vehicle’s only passengers. This means no queues, no waiting for other passengers to arrive and no additional stops. Where will the driver meet my party? Where is the meeting point at Barcelona Airport? Transfers from Barcelona Airport to City: The driver will be waiting in the arrivals hall, after your party has collected their luggage and cleared customs. He/She will be holding a sign with the Lead Passenger name provided to us at the time of booking. Transfers from city to the airport: If you are being collected from a hotel, the driver will meet your group in the hotel’s main lobby. If you are being collected from a private apartment or villa, please have your group waiting out front at the scheduled pick-up hour.